A phrase commonly used by successful business people and athletes around the world, this motto speaks to the winning attitude and exceptional work ethic I bring to each of my clients. 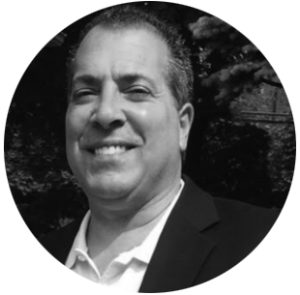 For 30+ years, I have proudly assisted thousands of clients as a Certified Public Accountant in Springfield, New Jersey, a community I have been part of for my entire life. I am a member of the New Jersey State Society of CPAs and the American Institute of Certified Public Accountants. I also hold the title of Treasurer for the Springfield Chapter of LeTip International, the world’s largest business networking group. As a sole practitioner, my goal is to not only provide exemplary service, but to build a strong relationship with my client. You, your family, and your business deserve a superior level of respect, diligence, and expertise. Let me bring that to you. Bookkeeping and consulting services, such as one-on-one coaching for small business owners, offering expertise on establishing and streamlining your operations. Thank you for considering my firm. Rest assured that I will stop at nothing until you are satisfied. Your accounting needs and financial goals are my top priorities for building a winning strategy. For accounting solutions from a CPA that you can trust, you have come to the right place. Contact me today!